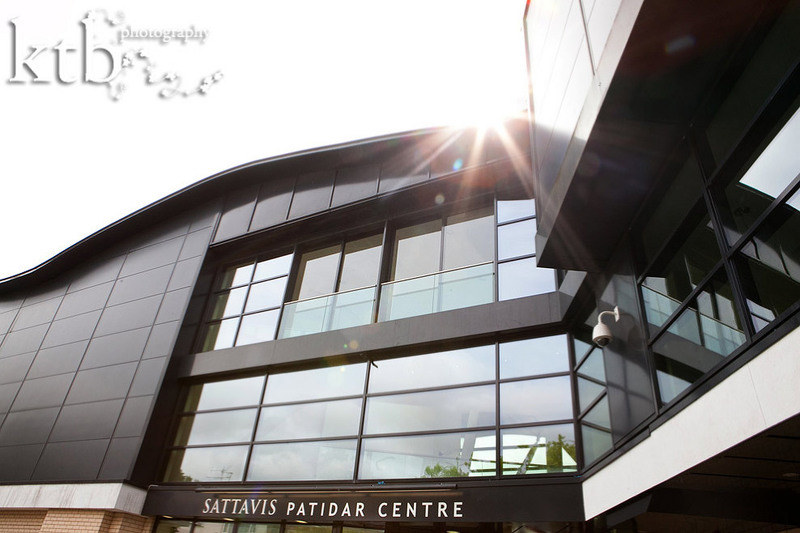 Kajal and Jigar had planned a Hindu wedding with over 600 guest at the Sattavis Patidar Centre in Wembley a surprisingly beautiful modern building in Northwest London. It was a great backdrop to the relaxed, fun and happy day with was interspersed with lots of laughs, little games and delicious food and snacks. While Kajal and her sister prepared for the wedding to Bollywood tunes with almost no stress and drama at all behind the scenes, Jigar’s family danced their way in to dhol drummers. The ceremony was beautiful and mostly in English so that guests could understand the significance of the ceremonies and games. Both Kajal and Jigar was calm and composed whilst looking fabulous. After quite a few family and group photographs – touchingly Kajal and Jigar value their large families and many friends, there was an absolutely delicious meal before we took just a few couple photographs in order to keep to the priest’s recommendations of the auspicious time for departure. For the final goodbye, Kajal had a very happy vidai with confetti and high-fives. There were last minute tears from Dad, a very sweet moment where her brother lovingly wrapped her in the shawl, and one final goodbye kiss blown from her sister. All of which made a very sweet ending to a very perfect wedding day! 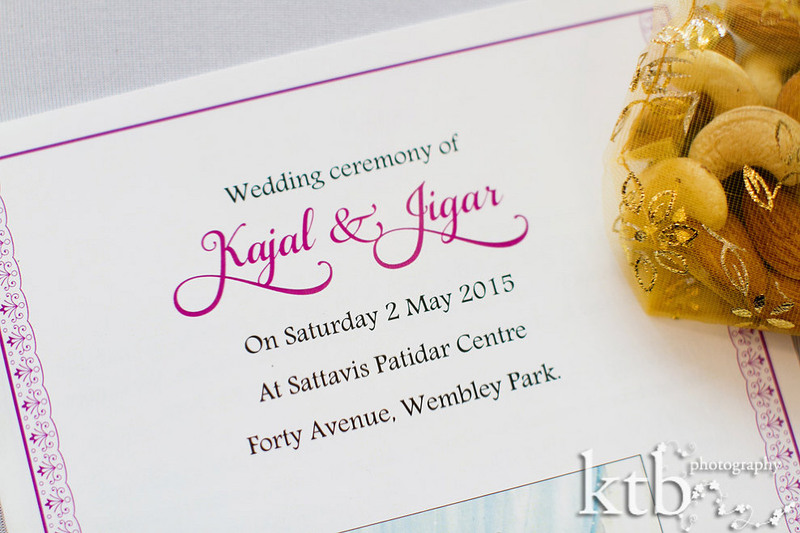 Happy marriage, Kajal and Jigar! © ktb photography | 4 Church Walk London N6 6QY | photography by ktb main website |ProPhoto Website | Designed by That's Kinda Cool!